Don’t touch: Unless you know that your date is comfortable with you, it is best to reserve your hands and not touch till she/he is comfortable. It doesn’t make sense to make your date feel uncomfortable and she/he may not like being touched by a stranger. Unless both of you meet a few times, and are friendly till then a cordial hug or handshake can do. 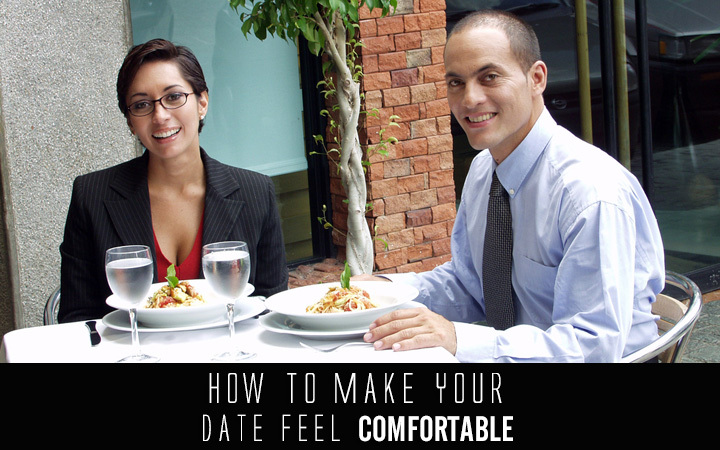 Don’t seat her in the corner: Letting your date sit with her back to the room can make her feel cornered and vulnerable. It is best to ask her to sit such that she can view the activity in the room and will make her feel comfortable and be more communicative. Listen and communicate: Put your phone down, maybe even switch it off. You have to give total attention even if the subject he/she is talking about is boring. Thus, try to sound interested and even ask a few questions. A distant look will be noticed, so be interested and involved. Talk about things that you like but listen and be interested in her/his talk. Make her feel important: Women love to feel special. Bring her flowers, and be a gentleman. Not only will it create the right impression but will make her comfortable, even before you both start talking. Keep the talks friendly and general. Don’t try discussing uncomfortable topics that puts her off.